When they (literally) lifted the curtain on the new logo, I realised just how instinctively resistant to change we all are – I may even have gasped. 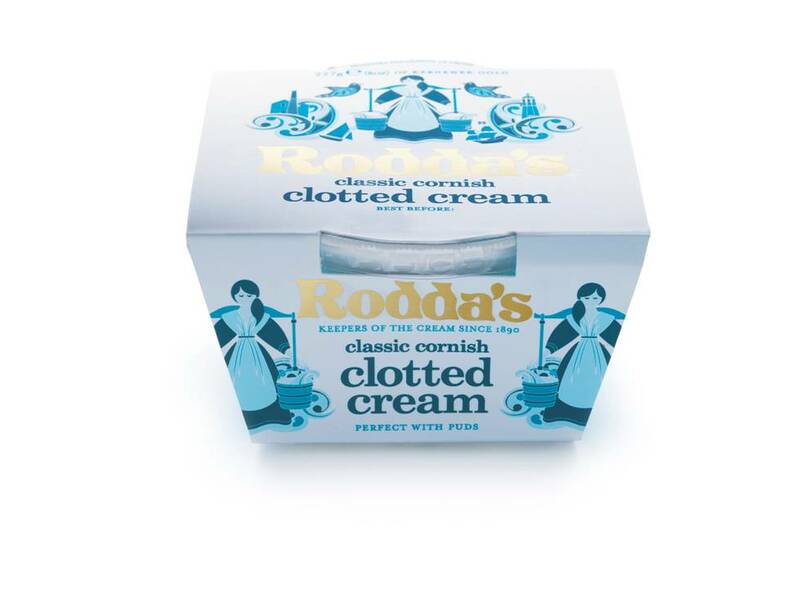 For my whole life, Rodda’s (= bastion of Cornish tradition Cornwall) has meant a red, old-fashioned logo with a clotted cream-laden scone on the front (vintage look pictured below). And now it was gold! With artisanal-style image of a Cornish milkmaid! And a twitter icon! But all is well now – I took a few deep breaths, took reassurance from the Rodda’s crew that the product is the same as ever, and noticed that it’s actually rather a charming look, with choughs and Cornish flags tucked away subtlely in the design. Look out for Rodda’s: The Next Phase, rolling out in June. Can Cornwall handle it? 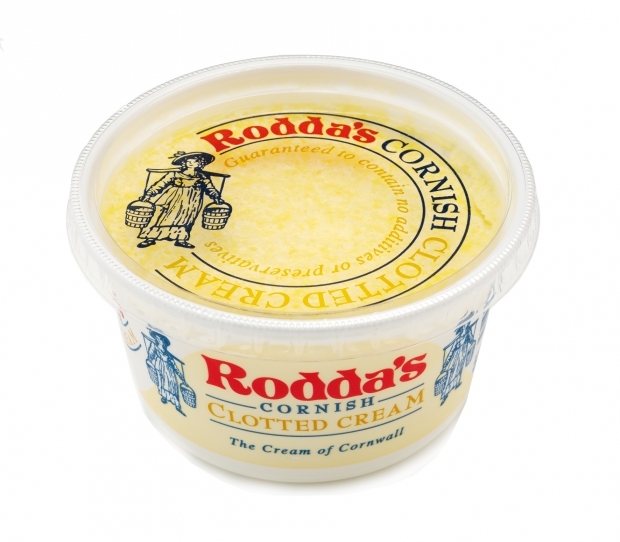 Finally the hoopla around Definitely Devon making their clotted cream in Cornwall is over apparently, with their acquisition by Rodda’s. The label change could have been related to this. LOL you’re so right, Kate.. for all we know, old empty tubs might next be seen on ebay! Like you say, a shock. But the cream remains as good as ever, yes? yes fear not, i have personally checked several tubs. The new logo is absolutely gorgeous … but did they need one? I’m definitely one of those change-resistant people. yeah i am too. however, one of the things they wanted to change was the perception that it only goes with cream teas, which seems like a good move. not sure about the devon creamery.. no mention. but i saw today they have launched a healthy eating campaign for employees.. perhaps cream intake had got dangerously high! Funnily enough I had to go out today to buy 3 tubs of the stuff (red label) – these might be collector’s items!